Amid all the battle for dominating the eighth generation of gaming, it looks like Both Sony and Microsoft have a serious threat that is affecting the market image of both the companies. Both the gaming giants, among few other major video game developers, are being acutely targeted by a hacker collective most widely known as Lizard Squad. The group only rose to notoriety after some DDoS attacks on the PlayStation Network and Xbox Live, but has since been giving a hard time to a few gaming giants by taking down their servers, and now the group has announced that they will shut the Xbox Live down forever on this Christmas. It has been more than a month since hacktivist group, Lizard Squad, started making headlines for disrupting normal online multiplayer gaming connections and taking down PlayStation Network and Xbox Live as well as online servers belonging to some of the other major video game publishers. The group went as far as tweeting out a bomb threat to a Sony executive’s American Airlines flight that was then grounded by the FBI, which has now launched a nationwide hunt for the group. However, it looks like that isn’t at all stopping the hacker group from harassing the gaming world further. After knocking two of the most important online multiplayer services known as PlayStation Network and Xbox Live, along with other major video game servers offline several times by distributed denial-of-service (DDoS) attacks, Lizard Squad seems to be planning something big for the near future. 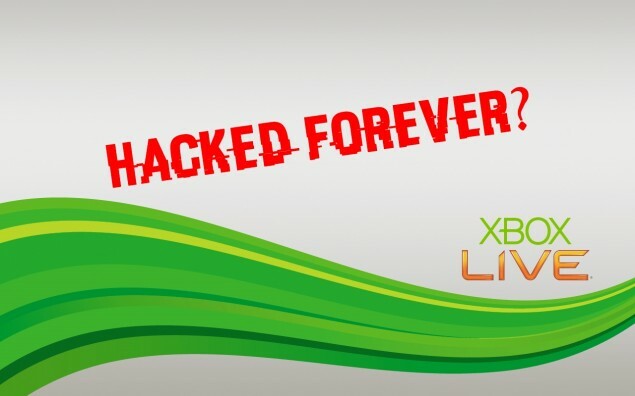 The notorious hacker group had been teasing something that they’re planning to do on this Christmas, and now it has announced that the hacker team will tap into Microsoft’s servers and cripple the Xbox Live to the point where it will become unstable and will be shut down forever. It is difficult to say if that could actually happen, as taking down Xbox Live for forever seems beyond the bounds of possibility. But looking at their track record, it is clear that Lizard Squad will continue knocking Microsoft’s servers offline and harassing gamers until the Redmond-based company takes serious action and develops a permanent restriction against the attacks. Best thing to do right now is to remove any vital information, such as credit card details, tied to your Xbox Live account and hope that Sony, Microsoft and other gaming giants come up with a firm firewall to prevent attacks. 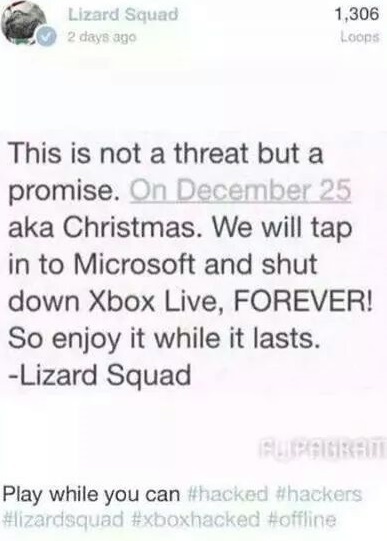 What do you think about Lizard Squad taking down the entire Xbox Live for forever on this Christmas? Share your thoughts in the comments section below.